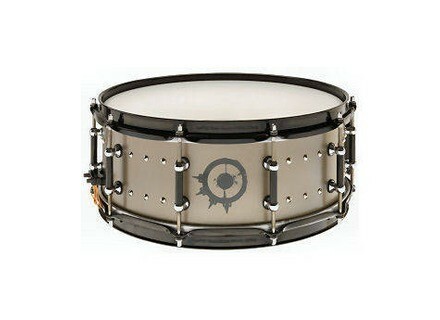 Limited Edition Daniel Erlandsson Signature, Snare Drum from Pearl. Arch Enemy sticksman Daniel Erlandsson gets his own Snare Drum model. 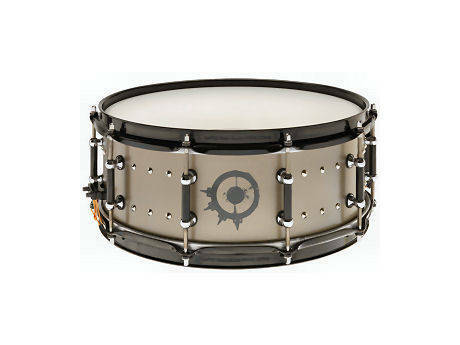 It has a 14x 5.5" Beadless Stainless Steel Snare Drum, with Black Superhoop II hoops, Dual-Colour Tube lugs, the Arch Enemy symbol and Ultra Sound Wires. "I was looking for a snare drum that would reproduce punch and articulation even when played at moderate levels - as well as with a vicious crack when needed. For this I chose a 1.2mm beadless stainless steel shell." For more details, visit the Pearl website. [Musikmesse] Pearl Masters Premium Legend Series The Masters Premium of 2011 is available in two shell sets giving drummersa choice of either a Classic fully focused 4 ply Maple shell or an open full toned 6 ply Maple shell.